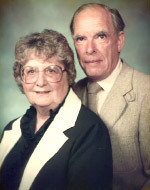 ELEANOR BALDWIN ALDRIDGE ’44 died October 19, 2012, at the age of 89. Born in Portland, Oregon, during the Roaring ’20s, she died two days short of her 90th birthday. Eleanor loved words and one of her favorite pastimes was reading, especially history, in a chair facing the ocean at the family beach house next to Fishing Rock on the Oregon coast. A kindergarten teacher for a brief time, she married WILLARD “DEL” ALDRIDGE ’42 after World War II. Their close partnership weathered 62 years. Eleanor is survived by two sons, including WILLARD ALDRIDGE JR. ’70; two daughters; 10 grandchildren; and six great-grandchildren. EDISON “PETE” ARNOLD ’40 died October 23, 2012, at the age of 94. Born in Portland, Oregon, he married his SPC sweetheart, LEORA MCCONNELL ’42, and remained her loyal companion for 70 years. Pete became career military in the U.S. Air Force. He served in World War II and Korea, where he became a colonel and flew 50 combat missions in a B-29. In Vietnam, he “flew a desk” as SAC commander in Saigon and was honorably discharged in 1971. Pete’s record included more than 12,000 hours in a B-29. Among his many decorations was the Distinguished Flying Cross with Oak Leaf Cluster. He became a Rotary Club president and was named a Paul Harris Fellow for “Service Above Self.” A land developer, he enjoyed hunting, fishing, and snowmobiling in the Cascade Mountains, and being one of the Octogenarians, a group of pilots still flying in their eighties. Pete is survived by his wife, a son, a daughter, six grandchildren, and five great grandchildren. ELOINE COHAGAN BECKWITH ’40 died July 25, 2012, at the age of 94. Born in Albion, Nebraska, she grew up the daughter of a preacher who labored for 43 years in Free Methodist churches in Nebraska, Washington, Oregon, and California. Eloine attended Central College before transferring to Seattle Pacific, where she earned her teaching credentials. Herself a second generation Falcon, Eloine’s father, DAVID COHAGAN ’22, was a graduate of Seattle Seminary. She lived to see two more generations of the family line receive their SPU diplomas and was married to her husband, Gilbert, for 70 years. Eloine is survived by a sister, DONNA COHAGAN ’54; a daughter, CAROL BECKWITH BELCHER ’66, M.A. ’70; a son, BRUCE BECKWITH ’73; nine grandchildren, including JOSEPH BECKWITH ’09; and five great-grandchildren. DOROTHY DODGE ’53 died June 24, 2012, at the age of 85. Born in Grants Pass, Oregon, she studied nursing at Seattle Pacific and worked as a registered nurse for a private physician’s office before moving to Oklahoma City to care for newborns at Deaconess Hospital. She finished her career at two hospitals in the Long Beach, California, area before retiring to the Warm Beach Senior Community in Stanwood, Washington. Expressive in poem and song, she was known for a happy disposition. Dorothy is survived by a brother; WESLEY DODGE ’57. Donald “Don” Kerlee ’51 is remembered by colleagues and former students as a gentle, committed soul and wise leader whose contributions to classroom and service to Seattle Pacific University over a 30-year career continue to resonate. December 7, 2012, at the age of 85. University in England. But while doors opened for him in research and industry, he committed to working with faculty and students in growing a Physics Department at Seattle Pacific. In 1969, after 13 years at SPC, Don accepted an appointment to Roberts Wesleyan College, where he was vice president and academic dean, and served one year as interim president. In 1974, he returned to Seattle Pacific until his retirement in 1990. Don, a cello player, is survived by his wife of 62 years, Ivy Coxson Kerlee ’50; four children, including Daniel Kerlee ’82 and Lynn Kerlee Luck ’78; 15 grandchildren, including Melissa Kerlee Hammack ’08 and sophomore Andrew Kerlee; and four great-grandchildren. WILLIAM “ART” LIDDLE ’52 died September 11, 2012, at the age of 85. Born in Colgate, Sakatchewan, he attended Aldersgate Bible College before transferring to Seattle Pacific. Ordained in the Free Methodist Church, he served 37 years in denominational roles, including as a pastor, and in Christian camping and conference ministry. His other involvements included Campus Crusade for Christ, Light and Life Men’s Fellowship, and as a volunteer chaplain for law enforcement officers, fire fighters, and their families. He also worked with Dignity Memorial helping others deal with the loss of family and friends. From 1964 to 1969, he was employed in the Seattle Pacific Business Office. A graceful and gentle man with an impassioned work ethic, he blessed many lives. Art is survived by a sister; a brother; Sheila, his wife of 57 years; four sons, including BYRON LIDDLE ’75; and 15 grandchildren, including JESSICA LIDDLE ’07. MONA THOMAS MCKEOWN ’36 died November 29, 2012, at the age of 101. Born in Fay, Oklahoma, she attended a Free Methodist college in Wessington Springs, South Dakota, and Seattle Pacific College and taught Christian education at Aldersgate College in Moosejaw, Saskatchewan. 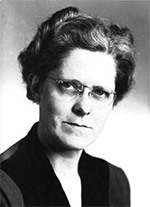 Mona was married to LOWRY MCKEOWN ’38; both were ordained ministers in the Free Methodist Church and served churches in Washington state; British Columbia, Canada; Kansas; New York; and Oregon. She wrote Sunday school curriculum for the Free Methodist publishing house and authored the book This Is How to Teach. She did graduate studies at Syracuse University and Western Evangelical Seminary. Mona is survived by one brother; two sons, ROBERT MCKEOWN ’64 and BRUCE MCKEOWN ’67; four grandsons; and seven great grandchildren. AVA MEMMEN ’73 died September 19, 2012, at the age of 60. Born in Boston, she went on from Seattle Pacific to earn a master’s degree from the University of Chicago. Ava served on several boards of educational and nonprofit organizations, including the Heartland Film Festival, which she co-founded. An elder at her church, the resident of Zionsville, Indiana, enjoyed spending time with her grandchildren. She is survived by her husband, Edward; three daughters; and two grandchildren. 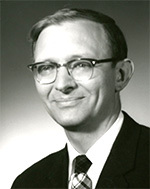 GERALD “JERRY” NEWTON ’48, MS ’56, died March 17, 2012, at the age of 92. Born and raised in Tukwila, Washington, Jerry attended Foster High School where he ran in track and cross country and won state in cross country. He taught himself to swim in the Duwamish River, delivered newspapers, and caddied at the local golf course. Jerry was drafted into the Army during WWII and served in the European and North African theaters. He was a Sergeant when he was honorably discharged on October 18, 1945. Jerry used his GI Bill to attend Seattle Pacific College, where he met the love of his life, CLARA CAMPBELL ’48, in a class, when Jerry sat behind Clara and admired her “beautiful dark pageboy.” They married June 15, 1947. Jerry, with great enthusiasm, raised funds for the campus newspaper and sang in A Cappella Choir. Jerry quickly rose through the ranks in the Seattle School District from teacher to elementary school principal. He also supervised student teachers at SPC and taught as an adjunct for the Education Department. He was active in church where he played soprano sax in the church orchestra, sang in the choir, and taught Sunday school. He loved fishing, working his ham radio, golfing, traveling, and hiking. He climbed Mt. Rainier and Mt. Adams and, at age 68, climbed to base camp on Mt. Everest. Jerry is survived by his wife, Clara; two daughters, JOANN NEWTON CONGDON ’72 and JANE NEWTON ’76; and four grandchildren, including CAEWYN CONGDON BARNETT ’06. life spanning 104 years. Far from solitary, her life included being a single parent to an adopted daughter and inspiring many hundreds of other people’s children. She taught them how to creatively command classrooms full of young, formative minds. She died January 16, 2013.
teacher placement, and director of elementary student teaching. After receiving emerita status in 1973, she worked another four years for SOE as coordinator of student placement services. faculty and made her one of the most influential teachers of teachers in her era. The name “Miss Larson” became synonymous with teacher education throughout the state of Washington. In 1989, the SOE Vivian Larson Education Office in Peterson Hall was dedicated to honor the master teacher and her distinguished career. She is survived by her daughter, Sharon; four grandchildren; and 14 great-grandchildren. Read former students’ memories of Larson. SID PEDERSON ’63 died November 7, 2012, at the age of 71. He was sales manager for George Johnson Real Estate in Seattle. LOUIS “WOODIE” QUIRK ’51, MA ’71, died September 15, 2012, at the age of 86. Born in Seattle, he had the good fortune to meet Pat Brown at a beach party at Golden Gardens. The two were just teenagers, but over the next five years he accepted Jesus Christ as savior and he married Pat. Though legally blind since birth, Woodie earned his teaching credentials from Seattle Pacific, taught school, and became an elementary school principal. He returned to Seattle Pacific for a master’s degree before continuing his work as a principal. He was also active at Sylvan Way Baptist Church where he taught Sunday school, served as a youth sponsor, and held the office of elder for many years. The Quirks’ lake home was the scene of many happy youth gatherings. Though he lost an eye on a hike in Arizona, Woodie visited all 50 states and traveled the world. He is survived by a sister; his wife, PATRICIA BROWN QUIRK ’48; three daughters, including MARJORIE QUIRK PARKER ’72; four grandchildren; and 10 great-grandchildren. BRUCE ROBERTSON ’63 died April 8, 2012, at the age of 75. He graduated high school in Sitka, Alaska, and attended Whitworth College and the University of Washington before majoring in history and completing a degree at Seattle Pacific. Bruce served for a time as a missionary to Colombia, South America, later becoming for many years owner and operator of Skagit Remodeling Inc. in Mt. Vernon, Washington. In 2009, he relocated to Murrieta, California. Bruce is survived by a brother; a sister; his wife, Judi; four children; two grandchildren; and numerous nieces and nephews. Jacinta “Jackie” Koreski-McLachlan, instructor of music, died November 10, 2012, at the age of 52. A gifted singer and voice teacher, not only had Koreski-McLachlan lent her voice to the Seattle Opera Program, 5th Avenue Theatre Company, and Seattle Civic Light Opera, but she had also recorded on a dozen movie soundtracks and provided voice-overs for IMAX, Fox TV, and other entertainment companies. She performed throughout the U.S. and Europe. In 2009, she sang at the Vatican for Pope Benedict XVI as part of an international Easter choir that included three of her SPU voice students. Koreski-McLachlan taught private voice, class voice, opera workshop, musical theatre, and cabaret. The music adjudicator and clinician was a faithful member of Seattle’s St. Alphonsus Catholic Church, where she was the resident soloist, cantor, and assistant choral activities director. Classical, yes, but her many interests also embraced Celtic, jazz, and pop styles. “Jackie was one of our most treasured faculty members in the music department,” says Carlene Brown, director of the Music Department. “She was known for her sense of humor, her style and passion for teaching, her love of her students.” That sense of playful humor was center stage in the spring of 2004 when she supplied musical direction for the SPU production of Green Eggs and Ham – Gertrude Mcfuzz and Other Seussical Fun. She is survived by two sons, a daughter, a brother, and two grandchildren. PHOEBE PETERSON ROSSER ’42 died October 2, 2012, at the age of 93. Born in Grand Rapids, Michigan, she was one of five children. She was 6 when her father died and life became a struggle for the kids and their mom. In helping care for her two younger sisters, Phoebe developed the traits that made her a nurturing person throughout her life. Her paternal uncle founded Seattle’s Union Gospel Mission and invited her to join his family so that she could attend Seattle Pacific on his ministerial discount. An excellent debater, she made the most of her college years. She married PAUL ROSSER ’40, who for 30 years was a Seattle Pacific professor of speech, drama, and debate. They enjoyed active and long-time membership at First Free Methodist Church adjacent to campus. Phoebe became an instructor in business education, assistant to the director of development, and capital campaign fund manager for the construction of Weter Memorial Library. In 1967, she completed a master’s degree from the University of Washington. In the early ‘70s, she served as manager/treasurer of the Seattle Pacific Alumni Credit Union and was active in Falconettes and Sigma Rho. To the end, Phoebe was faithful to God, whom she called “the Master Architect of my life.” She is survived by two children, CAROLYN ROSSER WATSON ’68 and PAUL ROSSER JR. ’71; six grandchildren; nine great-grandchildren; and numerous nieces and nephews, including JOHN GLANCY ’70. SANDRA “SANDY” SHAW ’81 died April 17, 2012, at the age of 52. Born in Seattle, she earned a nursing degree from SPU and went to work at Evergreen General Hospital. She returned to school for a master’s degree in nursing from the University of Washington and became a neonatal nurse practitioner. Sandy and her husband, Robert Hoppa, built their first home together, liked to shop and cook together, and take shared travel adventures. Her penchant for gardening turned their backyard into an oasis. Sandy is survived by her husband of 30 years; a sister; a brother; and numerous nieces and nephews. PERDIDA TIMM ’95 died August 21, 2012, at the age of 46. Born in Sacramento, California, she was an honors student in high school and built on her SPU bachelor’s degree by earning a master’s degree in education from Heritage College. Her life’s work was helping troubled children as a guardian ad litem, protecting the innocent and those without a voice. An avid outdoor enthusiast, Perdida was active as an adult leader in Girl Scouts. She lived in Omak, Washington, at the time of her death in a highway accident. She is survived by a daughter and a son. RAYMOND WOLF ’66 died July 2, 2012, at the age of 69. Born in Portland, Oregon, he became a master pottery-maker and teacher of art to thousands of students at Wheaton North High School in Wheaton, Illinois. A year after graduating from Seattle Pacific, the ceramics specialist made the jump to Wheaton to teach a variety of art including sculpting, painting, drawing, and jewelry-making. He was a specialist at helping students convinced they had no artistic ability discover their creative natures. Raymond displayed his own ceramic pieces in local craft and fine art shows and took high school students from Wheaton Bible Church on mission trips to poor areas in rural Alabama. He is survived by a brother; Delores, his wife of 34 years; three sons; a daughter; and four grandchildren. MICHAEL WYDICK ’84 died July 6, 2012, at the age of 50. An Eagle Scout, he spent 13 years with The Boeing Company. Following a kidney transplant, Michael took up the cause of Little League baseball. Among his many positions within the organization, he served as president of PacWest Little League and district administrator of Washington District 7. He was an enthusiastic advocate of youth baseball and softball and enjoyed watching his son and others play the sport. Michael is survived by a brother, STEPHEN WYDICK ’88; his wife of 25 years, KAREN HIRZEL WYDICK ’86; a son; a nephew; and two nieces.